- Red Text is the count of total Processes. 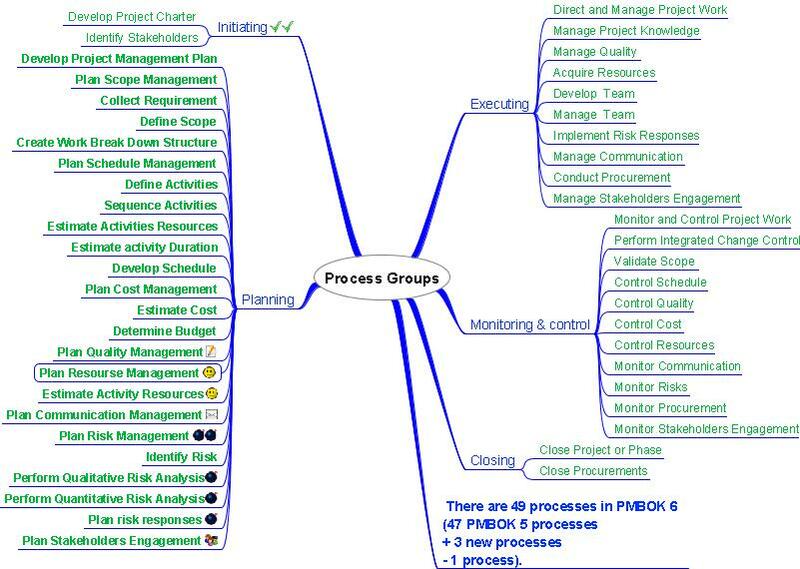 - Green Color are processes under that knowledge area. 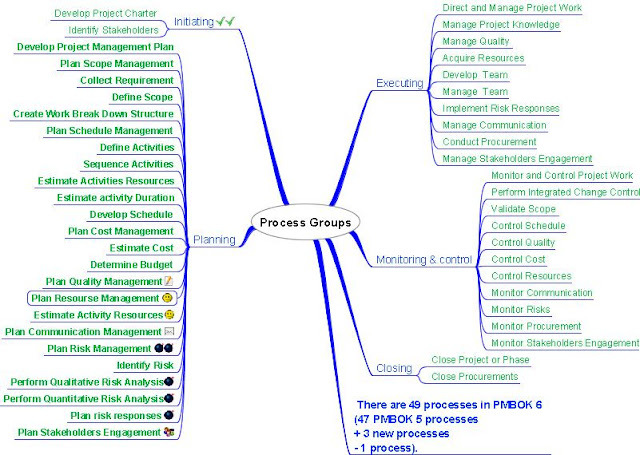 - Blue are knowledge areas. Sl No is as per PMBOK.